WOLF PVC decking is a special blend of PVC polymers, for a harder, more durable finish. Natural colors and elegant raised grain give the appearance of wood without requiring laborious staining or sealing. When the weather gets warm, people tend to move outside. A deck is the perfect spot to soak up the sun while entertaining friends or relaxing on your own, but it’s not easy to do if your deck is an unsightly mess or a pain in the “deck!” Does it look like a wooden raft crashed into the back of your home? 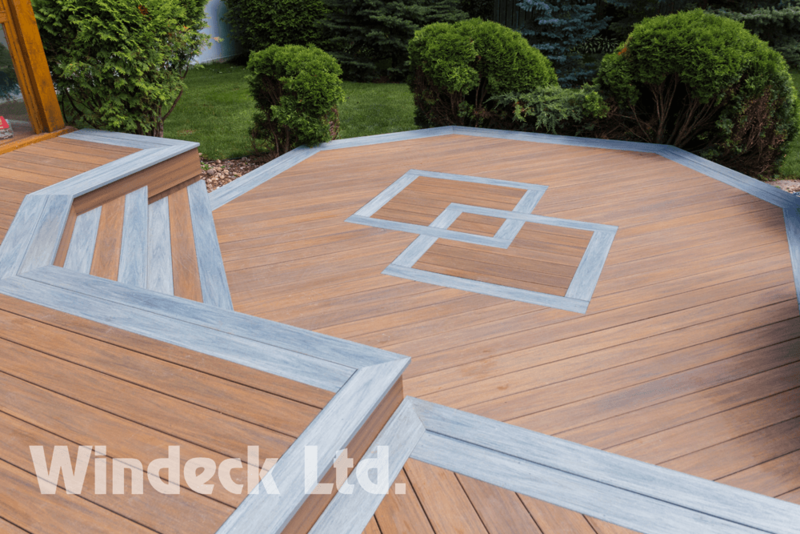 You know by now that a quality deck not only adds visual appeal to your home, it adds value. Whether you’re searching for the look of traditional fine wood or of real exotic timbers, WOLF Home Products has the decking solution for your dream home. Stop worrying about sealing and staining your deck, WOLF Home Products helps you to enhance the beauty – and the value – of your home without regular maintenance or upgrading. WOLF PVC decking is a special blend of PVC polymers, for a harder, more durable finish. Natural colors and elegant raised grain give the appearance of wood without requiring laborious staining or sealing. Is it the beauty of the wood grain? The freedom to never stain or seal again? Is it the way your deck or porch will last and last without rotting, cracking or splitting, no matter what Mother Nature can throw at it? Maybe it’s the amazingly affordable price for which you can enjoy all of the above. We’ll let you decide as you enjoy your beautiful outdoor living space for years and years to come. Our PVC decking is durable, lightweight and virtually impervious to moisture, mold and mildew. It’s easy to install with traditional tools. And it comes with a limited lifetime warranty against blistering, peeling, flaking, cracking, splitting, cupping, rotting or structural defects from termites or fungal decay. WOLF PVC decking will provide a beautiful outdoor living area that will stand up to heavy use and to Mother Nature. © 2019 WINDECK LTD. ALL RIGHTS RESERVED.